Social and educational work is an essential component of the teaching and educational process in the university. It integrates moral, national and patriotic values of students. It provides socialization of youth to the norms of the Ukrainian and world cultures. The main purpose of educational work with students of Ternopil Volodymyr Hnatiuk National Pedagogical University (TNPU) is to create proper conditions for their active life, self-realization and self-improvement, meeting their needs in intellectual, cultural and moral development. • Organization of the student government;• Maintaining and developing the national traditions through arrangement of different cultural events and work of the museums at the university;• Promoting healthy lifestyle, creating incentives for sports (holding sports competitions, contests and other sports events);• Organization and support of the student clubs and other forms of the various cultural, educational and recreational activities;• Collaboration with the youth organizations. Social and educational work at TNPU is a process of the profound interaction and cooperation of the teaching staff and students based on the principles of Pedagogy and Psychology. The problem of the assistance and support to young people in difficult life circumstances is especially important. The university provides a range of measures to support disadvantaged students. Our university is a community of scholars where the ideals of freedom of inquiry, freedom of thought, freedom of expression and freedom of the individual are sustained. 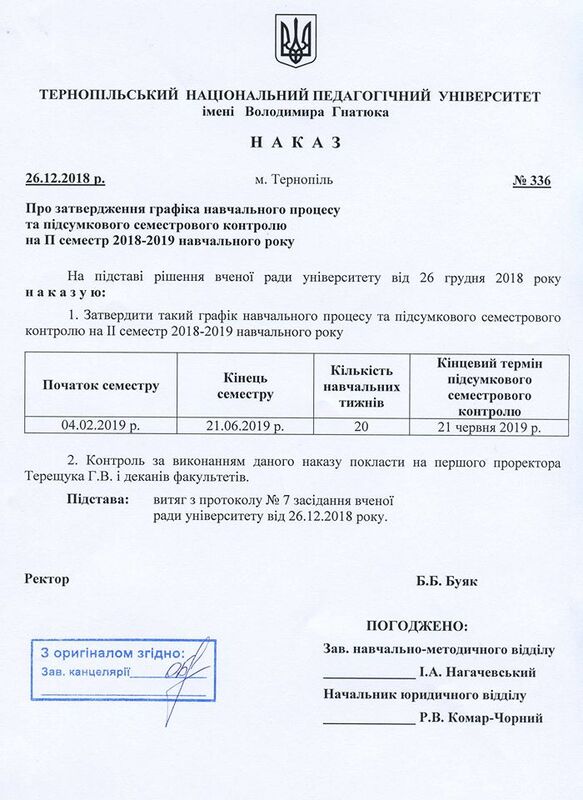 TNPU is committed to supporting the exercise of any right guaranteed to individuals by the Constitution of Ukraine, to educating students relative to their responsibilities.